It’s September, which means fall has arrived for those in the Northern Hemisphere: The leaves are changing colors, the days are getting cooler, and students everywhere are getting ready for their first midterm exams. Visit any university campus and you’re likely to see students trudging off to the library with highlighters and textbooks in hand, ready for another caffeine-fueled all-night study session. Fortunately, a wealth of cognitive psychology research sheds light on what students should be doing to ace that first test – in an article published in Perspectives on Psychological Science, a team of scientists distills these findings into a set of useful tips specifically for students. The article offers evidence-based suggestions that students have heard many times before: go to class, do the reading, find a quiet place to study (without distractions), and stay organized. These suggestions may seem like common sense, and science shows that these kinds of practices really do matter. Other evidence-based recommendations, however, may seem less intuitive. 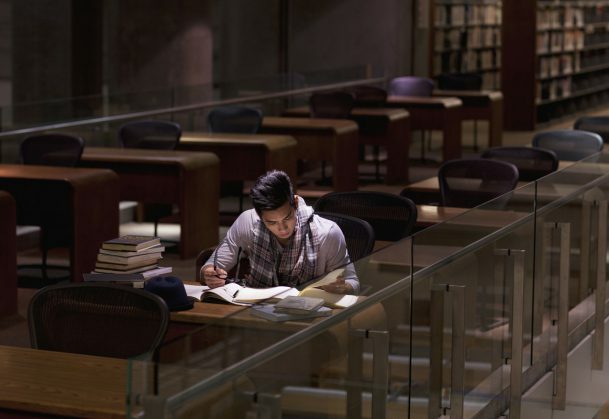 For example, many strategies that students know and love—highlighting while reading or staying up late to cram the night before a test—are only effective in the short term: They may help for the test tomorrow, but probably won’t lead to learning that holds up until the end of the semester. Study for a little bit every day. One of the most robust findings in all of cognitive psychology research is the spacing effect, which shows that learning material over several study sessions that are spaced out over time is more effective than cramming everything into one session. Read, Recite and Review. Take 5 minutes to write a summary of a chapter’s big ideas after finishing the reading (aka practicing retrieval), rather than summarizing as you go. Then, check what you got right and what you missed before moving on. Take notes by hand rather than on a laptop. You’ll be less prone to distract yourself (or your classmates) with various apps and website and the act of writing by hand may even help you to remember more. Test yourself on key ideas. Using flash cards, practice quizzes, and friends to test yourself will help you practice retrieving information from memory and is one of the best ways to learn something for the long term. The authors also make suggestions about managing time and tasks effectively and keeping up a healthy work-life balance. They even review some findings that suggest that exercising and sleeping enough can enhance creativity and ensure that memories are stored in long-term memory. The report, co-authored by Victor W. Sungkhasettee and Henry L. Roediger III of Washington University in St. Louis, is available for free online, and readers are encouraged to share it with the teachers and students they know. Hello, how could I download for free the paper?